If you have a dental emergency in the Houston area, contact Memorial Park Dental Spa right away for dental care treatment. Our dental practice understands that dental emergencies never happen at a convenient time and that they can be very stressful situations. Memorial Park Dental Spa offers emergency dental care and will do everything we can to make sure that you are seen as soon as possible. We want our patients to know that their dental emergencies will be handled with prompt, personalized attention in order to alleviate their pain as quickly as possible, but also to ensure that your oral health is protected from further complications. Dr. Nishano Thomas is a gentle and highly skilled Doctor of Medicine in Dentistry (DMD), and you can trust her highly skilled and experienced hand in any of your dental emergency situations. 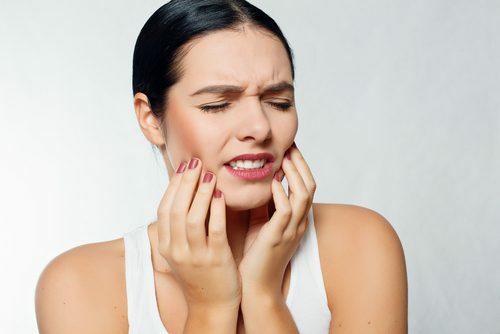 While many dental emergencies involve a knocked out tooth, there are other situations that may seem “iffy” as to whether or not they need immediate treatment. We always encourage our patients to call so that we can determine if a same day appointment is necessary. When it comes to emergency dental care, the sooner your issue is addressed the higher likelihood there is for complete restoration. Dental emergencies can be stressful and can compound any anxiety that you or your family member has about visiting the dentist. Dr. Thomas and our entire staff are committed to providing compassionate and excellent care, and we will meet your needs when dental emergencies arise. If you are in Houston or the surrounding areas and have a dental emergency, please contact Memorial Park Dental Spa right away. We look forward to serving you and your family with the care that you need and deserve.